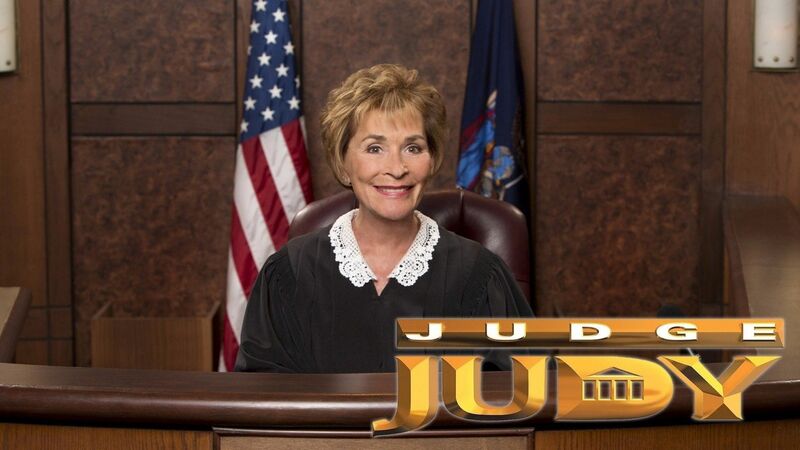 Here's where to watch every episode of Judge Judy season 6. Mouseover or tap an episode to see where to stream it. Click or tap the play icon to stream it on the best available service. Case 91521 Sep 10, 2001 A woman accuses a blind man of sexual assault; rejected advances prompt a lawsuit. Case 92004 Sep 10, 2001 A woman refuses to return a car to her ex; former lovers argue over property damage and rent. Case 92010, Case 92015 Sep 11, 2001 A woman says her boyfriend took advantage of her after her father died; a wrecked motorcycle. Case 91486 Sep 12, 2001 Case 91486 - Attempted dog abduction. Case 92112, Case 92050 Sep 12, 2001 Case 92112, Case 92050 - A woman contends that blackmail accusations made by an ex cost her job. Case 92020, Case 92021 Sep 13, 2001 Case 92020, Case 92021 - A car payment dispute destroys a friendship; disagreement over a motel bill and property. Case 92022 Sep 13, 2001 Case 92022 - A student gets hit with a belt; his girlfriends fight for a dead man's couch. Case 92044, Case 92063 Sep 14, 2001 Case 92044, Case 92063 - Twins get in a barroom brawl; a violent confrontation ruins a family vacation. Judge Judy Season 6 Episode 11 Sep 17, 2001 A woman sues for damages to a rental car; drunken driving in a borrowed car. S06 Sep 18, 2001 Former lovers fight over valuables; a taunted student breaks a classmate's glasses. S06 Sep 18, 2001 Bar fight. S06 Sep 19, 2001 AAA locksmith sues for assault by client's family who said she had dementia and he should not make her car keys; woman sues ex-fiance for cost of wedding dress. S06 Sep 19, 2001 A doctor's receptionist accuses a man of throwing a telephone at her. S06 Sep 20, 2001 Loaned money; snowmobile crash. S06 Sep 21, 2001 A landlord accuses a tenant of arson; a man alleges his ex-girlfriend spent his bail money. S06E25 Sep 26, 2001 A woman accuses her daughter of stealing her wedding ring; a nanny sues a former employer for repossessing her car. S06 Sep 27, 2001 Unmarried parents argue over mobile-home payments; an ex-girlfriend says she doesn't have to return a ring and bracelet set because it wasn't an engagement ring and bracelet set and he was still married anyway. S06E29 Sep 28, 2001 Former lovers bicker over rent; a man accuses his ex of stealing his car keys. S06 Oct 5, 2001 Plumber's error; broken glasses. Judge Judy Season 6 Episode 56 Oct 29, 2001 Woman sues friend for bleeding on her carpet; woman claims she was drugged when she damaged a car. Judge Judy Season 6 Episode 73 Nov 13, 2001 A man refuses to return his lover's motorcycle; students dispute trip expenses. Judge Judy Season 6 Episode 74 Nov 13, 2001 Former boyfriend wrecks a new car; woman chases brother with a hammer. Judge Judy Season 6 Episode 76 Nov 14, 2001 Landlady sues a tenant over a fire; woman seeks reward for finding a lost dog. Judge Judy Season 6 Episode 77 Nov 15, 2001 A woman claims she bit a fellow partygoer in self-defense; bail money loan. Judge Judy Season 6 Episode 78 Nov 16, 2001 A wedding is ruined when location doesn't live up to expectations; a former couple fights over a karaoke business. Judge Judy Season 6 Episode 79 Nov 16, 2001 A woman accuses a former friend of vandalizing her car. Judge Judy Season 6 Episode 81 Nov 19, 2001 A fight over a car; BMW hit with a softball. Judge Judy Season 6 Episode 82 Nov 20, 2001 A teen sues her boyfriend over a knife fight; former friends fight over a snowboard. Judge Judy Season 6 Episode 83 Nov 20, 2001 A teen wrecks a car; a daughter-in-law is brought to court over an unpaid home loan. Judge Judy Season 6 Episode 84 Nov 21, 2001 Harassment and assault with a stick; a wedding dress and a ring. Judge Judy Season 6 Episode 85 Nov 21, 2001 Deformed chocolate replicas of a stallion; rent and unpaid loans. Judge Judy Season 6 Episode 86 Nov 23, 2001 A family squabble heads to court after a son is released from jail. Judge Judy Season 6 Episode 87 Nov 23, 2001 A grandmother accuses her ex-daughter-in-law fight of defamation. The ex-daughter-in-law says that she has been harassed. Judge Judy Season 6 Episode 88 Sep 26, 2001 Drunk enters the wrong apartment; adult toys. Judge Judy Season 6 Episode 89 Nov 26, 2001 Child throws a cat down the stairs; clown sues a party planner. Judge Judy Season 6 Episode 90 Nov 27, 2001 A speeding driver has a mug thrown at him; a boyfriend messes up the back yard. Judge Judy Season 6 Episode 91 Nov 27, 2001 Brawling restaurant workers injure customers; girl chips a tooth. Judge Judy Season 6 Episode 92 Nov 28, 2001 Man demands restitution for his wrecked truck; off-duty security guard injures a woman. Judge Judy Season 6 Episode 93 Nov 28, 2001 Woman claims her landlord tried to kill her; man claims a woman tried to buy his affection. Judge Judy Season 6 Episode 94 Nov 29, 2001 Former lovers fight over credit card charges and throw out accusations of assault. Judge Judy Season 6 Episode 95 Nov 30, 2001 Tenants' alleged property damage. Judge Judy Season 6 Episode 96 Dec 3, 2001 Woman demands payment for Mexican trip; woman sues cousin for back rent. Judge Judy Season 6 Episode 97 Dec 4, 2001 A suit involving parking space and a trash can of leaves; three mothers of Ernie's children sue each other for harassment and car damages. Judge Judy Season 6 Episode 98 Dec 5, 2001 Woman claims she was used; man kicks down door. Judge Judy Season 6 Episode 99 Dec 6, 2001 After a budget is set, the ex-wife that is planning it goes over budget and expects the dad to pay the overage. Judge Judy Season 6 Episode 100 Dec 7, 2001 Friends try to steal a car they sold; man refuses to pay cellphone charges.